Port Harcourt— Biafra Writers can categorically confirm the release of 35 out of 45 IPOB brethren arrested and arraigned before the Chief Magistrate Court in Igweocha on a two-count charges of conspiracy to commit treason and treasonable felony. The 35 defendants is part of many others who were intimidated and arrested by Nigerian security operatives during the IPOB-Trump solidarity rally on the inauguration day of the US President on 20th January, 2017. 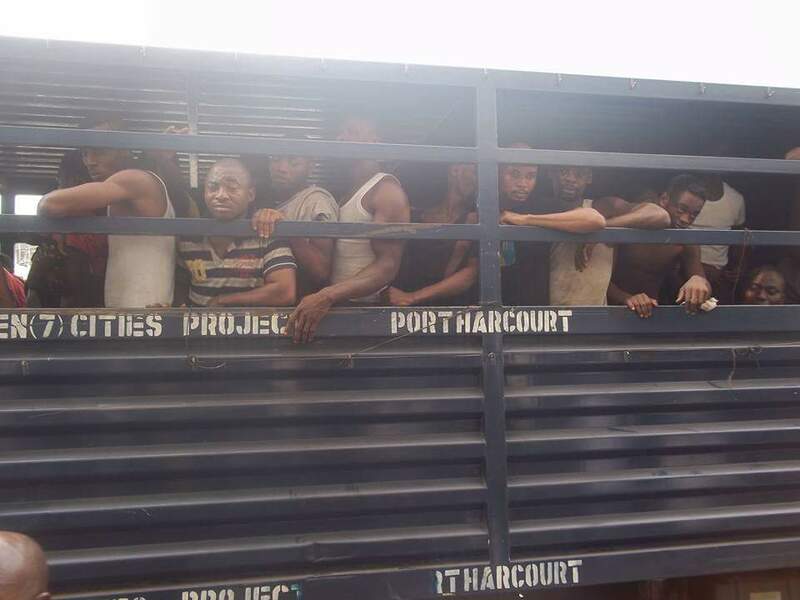 Our correspondence is on his way to the prison alongside the released Biafrans to get their belongings as at the time of writing this report and to ensure that not one of the released is left behind; we hope this court order would be obeyed to the latter as the Nigerian government and it's security operatives are known for flouting court orders. The decision of magistrate Jaja came few days after IPOB was declared "Not unlawful" by Justice Binta Nyako of the federal high court Abuja, during the last court session involving the leader of IPOB, Nnamdi Kanu and the federal government of Nigeria . Full details and pictures coming shortly. Justices have prevailed at last. FROM THE BIAFRAN RABBI. THE ZOO STATE WILL DEFINITELY REGRET ALL HER EVIL DEEDS OVER BIAFRANS SINCE 1960S.OUR RESOLVE AND OATH UNDER GOD OF ABRAHAM TO TAKE BACK THE LAND OF BIAFRA,OUR GOD GIVEN RIGHT IS THE BEGINNING OF MANY SORROWS AHEAD TRIBES,NATIONS,TONGUES,INDIVIDUALS IN ZOO-NIGERIA.#ZIONIST STATE RISING IN WEST AFRICA IS A DOOM FOR HAUSA-FULANI-YORUBAS MISDEEDS.#BIAFRA OR DEATH. URS THE BIAFRAN RABBI.